Public discourse is still blighted by an inability to nail down the features and competencies of the EU's Customs Union. 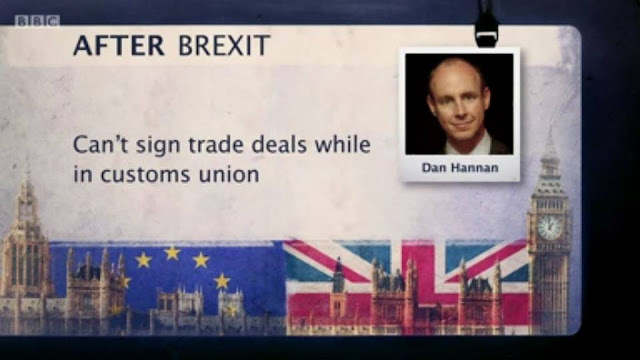 This fact was highlighted quite starkly today when Iain Dale described this afternoon's Sunday Politics debate between Daniel Hannan and Seema Malhotra, the Labour MP for Feltham and Heston, as the 'best thing on TV so far on the subject'. Worryingly, Mr Dale might actually be right. But this shouldn't be misconstrued as a glowing review of the above. Instead it ought to shed light on the amount of progress we are in need of making. If this is indeed the yardstick against which all future Customs Union discussion is held then it oughtn't be too difficult to top it. While the media froth and scream about the political influence of George Soros, who most people couldn't pick out in a firing line and certainly do not care about, there remains widespread misunderstanding of the Customs Union. Something which matters a whole lot more. The Customs Union is now the centrepiece of Brexit debate and will shape much of the withdrawal process from here on out. It is crucial that journalists and politicians grasp the important concepts. My particular frustration with Hannan's performance earlier on is that he managed to tell an outright lie and get clean away with it. It might be ignorance or it might be a deliberate twisting of the facts. I cannot know for sure. Not only did his lie go uncorrected, it is also extremely common, and given how influential he can be in this debate it is important that we discuss and correct the important error he has made. Hannan is a remarkable orator and I consider this dangerous. He has the ability to make almost anything he says sound true, even (as was the case today) if it is not. His false contention, made in both his opening soapbox and later on during questioning, was that the Customs Union prevents the UK from negotiating its own trade deals. This is not true and its inclusion stuck out like a sore thumb, ruining what was otherwise quite a useful discussion. Hannan himself performed well if we exclude this point. Again, the problem here is that this myth is circulated a lot. Almost everything written about the Customs Union in newspapers and policy papers makes claims vaguely similar to this. With absolutely nothing in the way of evidence to back it up. To be clear, there is nothing at all about a Customs Union which prevents members negotiating their own separate, bilateral trade deals. The EU's internal mechanism which does prevent this course of action is the Common Commercial Policy, which ought to be thought of more simply as a Common Trade Policy. The CCP, Article 207 of the Treaty on the Functioning of the EU (TFEU), binds member states together in trade negotiations, removes their right of initiative at international forums and ensures they must arrive at commonly agreed proposals for technical standards. Where folk think the Customs Union enters this equation I do not know. It is a separate device whose only residual feature is the Common External Tariff, which shields European producers from global competition and eliminates a Rules of Origin hurdle between members. The very fact of the CET being wrapped around every EU member state rules out any circumvention. An assumption can therefore be made that every good inside that external wall qualifies for preferential treatment. There is therefore no need for British exporters to produce certificates of origin at other EU customs posts. It is true that the Customs Union restricts the independence of British trade policy. Membership means we cannot alter substantially all the tariffs it covers. But restriction of domestic trade policy and inability to sign trade deals are not the same thing. Trade deals cover so much more than the ability to alter tariffs. They relate to regulatory harmonisation, services, foreign policy, customs cooperation, rules of origin provisions, recognition of standards, competition law and domestic governmental reform, among other, equally complex components. These are wholly separate conceptual domains and any trade deal which does not wander into tariff-alteration territory is neither prohibited nor necessarily undermined by the presence of a customs union. Given that so much focus has been placed on the fact that Britain is largely a services economy, I am surprised that very few people actually make this point. Arguably, since tariffs on industrial goods are minuscule, and declining quickly elsewhere, and since the EU is working on further reduction by upholding GSP schemes and international agreements, the tariff domain is inherently limited in its importance. My point here is not that I want a new UK-EU customs union to be established. I'd prefer for both sides not to agree to a bespoke customs union. I am merely outlining the relevant competence boundaries and pointing out that a bespoke customs union with the EU would leave our hands partially tied, but not quite as tied as is widely suggested. Trailing alongside a powerful and experienced neighbouring customs entity in some form or another is inevitable. We just need to accept this and try to play the game as effectively as we can. What may be useful is for readers to take a look at existing global customs unions, of which there are 16 (including the EU). Mercosur is a major example, located in South America and consisting of Brazil, Argentina, Uruguay and Paraguay. Switzerland and Liechtenstein form a customs union not relevant to the EFTA Convention or Single Market. The EU also forms a distinct and separate customs union with Turkey, which includes everything but agricultural products and public procurement. All such countries are able to negotiate bilateral deals of various kinds. Albeit forever trailing EU negotiations, Turkey has negotiated its own FTAs, including one with South Korea. It has done this in spite of its participation in a customs union. Turkey's bargaining position is weak: they must automatically apply tariff concessions after the EU has negotiated FTAs, and will subsequently arrange reciprocity with relevant trading partners. Brussels takes the lead on the application of tariff concessions and Ankara follows slowly behind. Independence of trade policy is stifled but bilateral deals are not out of bounds. In truth, countries found inside customs unions do not operate truly independent trade policies. Debate in Britain must in part be informed by this fact but must also recognise that there are many different kinds of trade deal. For those less well-informed it may be easy to fall into the trap of assuming that a trade deal means an FTA. The focus on FTAs will need to subside if we are to provide clarity on the parameters of a customs union. And commentators and politicians afforded the luxury of authority have a duty to replace today's yardstick with something much, much more accurate. If we form a customs union with EU but exclude certain sectors, or don’t harmonise on non-tariff barriers, won’t that mean we will still have to have border checks? This won’t solve the NI border problem? Turkey’s border with EU is known for its truck-tailbacks? Yes, which is why continued EEA membership is so critically important. It handles that side of things. You don't harmonise non-tariff barriers you (try to) eliminate them. As for border checks. A frictionless border can be achieved with EEA + customs union covering substantially all the trade between the parties. The Flexcit proposal for a customs cooperation deal on top of an EEA deal to create a frictionless border ignores the logistical & political practicalities. A seamless border relies on a systematic application of the external CET within a common zone through trust & exchange of information. Attaching focus to the differentiation between the CU & CCP is irrelevant as broadly people(including Barnier) refer to the CU as a broad concept. Liechtenstein is a poor example based on size, but Norway is a good comparison, as they have some of the best border technology & funding. Why don't Norway implement a customs cooperation deal with the EU & make their border for goods seamless? It certainly isn't today. Well they do have extensive customs cooperation with the EU, attached to EEA Agreement as add-on agreements, and specifically Finland and Sweden, and they are also trying to improve that with new technology in the next few years. So although you might be right to criticise Flexcit for arguing that a seamless border outside the CU is impractical, even inside the EEA, it helps to have the details accurate. They have great customs cooperation with Sweden & a smoother experience than DE/CH for example. However my comment was regarding "A frictionless border can be achieved with EEA + customs union covering substantially all the trade between the parties" - No that is *not* true, it will not be frictionless even in the EEA or a Swiss deal on goods. Clearing the Norway border involves coding & reconciling 100% of products including CoO, tariffs, customs fees & ensuring paperwork is in order. The word ‘harmonise’ in relation to NTBs my OP was incorrect but what I mean is - if we are free to negotiate/remove NTBs with other countries whist remaining in a/the CU with the EU, wouldn’t checks still need to be made on those goods if/when it crossed into the EU? i.e it’s not just rules of origin in relation to tariffs but also whether products meet EU standards? eg if we negotiate/remove a NTB barrier to trade such as a product standard (chlorinated chicken) then the EU would need to check this at the border? The first response to my Q suggests this is all dealt with through membership of EEA not a CU, which would make sense.... just trying to get by head around it....! Oliver, do you think it would be feasible to say, "we'll stay in a customs union with EU, which will be exactly the same as THE customs union, except we'll work out a new UK-EU Commercial Policy (which will allow us to ink our own FTAs with third countries)"? I sense this is a political negotiation question, just wondering if there could be something mechanical in it meaning you can't have the one without the other? 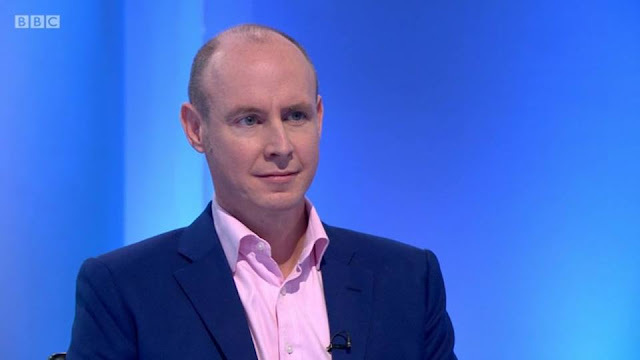 I find Daniel Hannan dangerously beguiling. I was sorry he wasn't challenged more along the lines of "the EU isn't stopping Germany being the #1 exporter by value, so why abandon the manifold safeties of the EU over-hastily when it demonstrably doesn't block the goal of better foreign exports?"